Today started off with some of the best things I know: A hot cup of coffee, an old classic on the radio (Rod Stewart’s “Maggie May” if it matters), and a brilliant sunrise that defies an easy description. 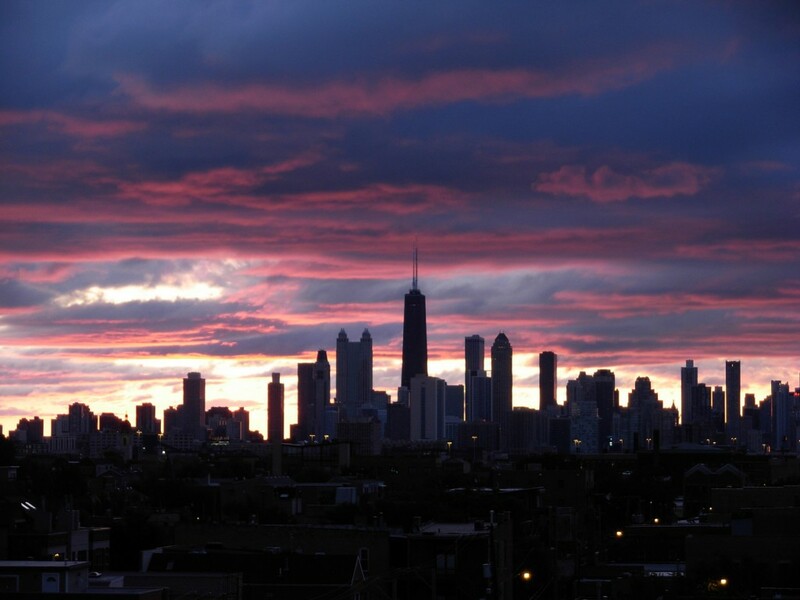 I thought of it as Daybreak over Chicago, and it was beyond beautiful. My little one was on the ice at her skating rink, and I was making a water run for her when I saw the sun rising. I went inside the rink, gave her the water, and told her all about the sunrise. She wanted to go and see it, but there wasn’t enough time to get her skates off before the moment passed. These things don’t last for very long. My daughter then wanted to do a handshake with me, which is actually a semi-elaborate series of jumps, shakes, and an ending where we do a hip bump and call out “Booyah” It’s something that’s only ours, and a combination of a secret ritual and an inside joke. It makes all of the tribulations of being a parent worthwhile. At the end of our handshake, and after a shared laugh and a smile, my daughter told me it was going to be a Booyah day. I thought about the sunrise, and the coffee, and the music, and the city, and the love inside my heart, and told her she was absolutely correct.